I like fitness, but I also like to eat. I would assume the latter part of that sentence is true for most people. I mean, seriously, food is good and we need it to survive. That is why I am not a big fan of diets. Instead, I believe in eating the right amount of good food at the right time. As part of my Tabata Bootcamp program, I talk to my clients about nutrition. Nutrition is an extremely important part of your life and fitness program. Bad nutrition can completely sabotage a great workout. Many times we eat out of boredom: While we’re sitting at the computer, watching a movie, or reading a book. Or we eat because it is convenient: At a party, “food day” at work, or meals sent over by relatives. Before you eat, ask yourself if you are really hungry. If your answer is “no”, stop there! Also, try drinking a glass of water then waiting. Our stomach sends the same signal to our brains for thirst as it does for hunger. You may think you are hungry and really you may just be thirsty. If you truly are ready for a meal or a snack, the next question should be, “is it a good choice?”. Yes, you may be hungry, but a Snickers bar from the vending machine is not a good choice. Instead, pack carrot sticks, cucumber slices, almonds, low-fat cheese, pistachios, or fruit. If you are at dinner, go for the whole grains and lean meat such as fish or baked chicken instead of fried foods or red meat. The last important question is about portion. I grew up in an Italian family where you were expected to eat the full portion and usually a second helping as well. However, despite your family’s expectations or what society tells us, we do not need to finish everything on our plates. In fact, most restaurants give us way TOO MUCH food! Eat slow and drink lots of water. When you are full…stop! If you are at a restaurant, immediately ask for a to-go box and box up half of your meal before you even take a bite. This will remove the temptation to eat it all. This last question is also important if you allow yourself to have dessert: Take a few bites, but you do not need to eat the whole piece (or whole bag of cookies)! I also recommend finding an accountability partner. 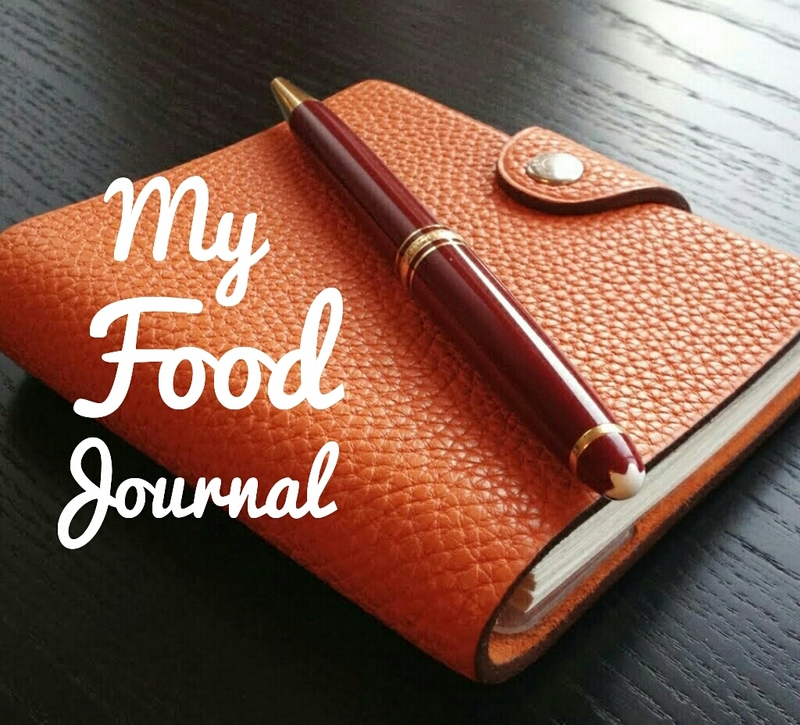 Together keep a food journal. Write down everything you eat during the day and then at the end of the week share you journal with your partner. If you know someone is checking your progress, you are less likely to eat the bacon cheeseburger and fries. There are great apps available as well to help you track your food intake, such as MyFitnessPal. Fitness and nutrition go hand in hand. If you are committed to living a healthy lifestyle, don’t forget the importance of healthy food choices. 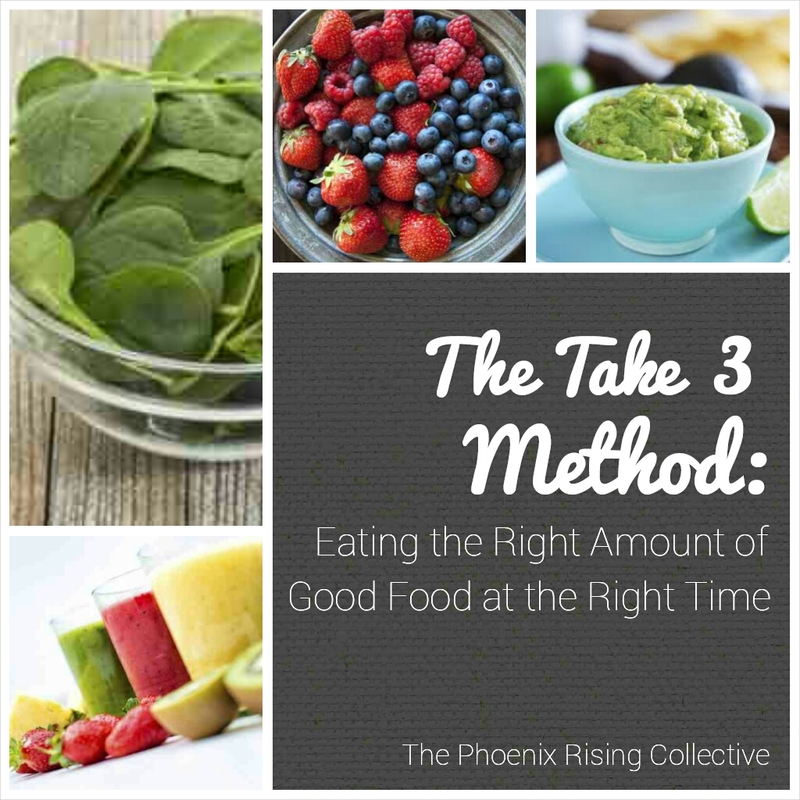 Step away from the diet and choose to use the Take Three Method. In health, fitness, and love! Want more details on The Take Three Method? Well, take a look at the Tabata Bootcamp Nutrition Guide. For additional fitness coaching, contact Megan here. Megan Weidner is the Health + Wellness contributor for The Phoenix Rising Collective; she is a fitness coach and environmentalist in the Akron/Canton, Ohio area. She manages a global sustainability and corporate responsibility program for a large multinational company; her areas include environmental compliance, social equity, community engagement and health and wellness. Megan is also devoted to Rock. It. Fitness., her fitness and natural skincare business. She is committed to making the world a better, more environmentally friendly and healthier place through motivation and education. She is certified through AFAA and Tabata Bootcamp. She has a B.S. in Soil, Environmental, and Atmospheric Science (University of Missouri), a Graduate Certificate in Environmental Management and Policy (University of Denver) and an M.P.A (University of Missouri). She lives in Green, Ohio with her husband and three kids. Categories: Self-Care + Personal Growth | Tags: clean eating, fitness, food journaling, health and wellness, health tips, healthy food choices, healthy self-esteem, holistic health, intentional living, nutrition, self-care, self-esteem, self-love, TABATA, Tabata Bootcamp, Take Three Method, the phoenix rising collective, whole living, women and wellness, women's health | Permalink.